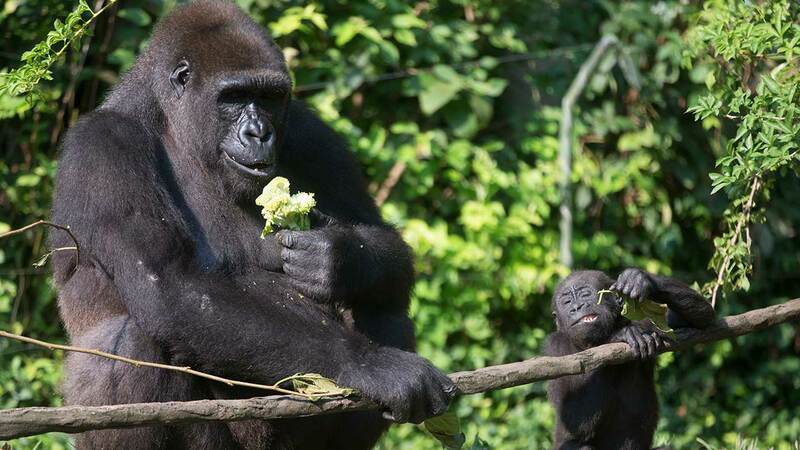 CINCINNATI, Ohio (WABC) -- The Cincinnati Zoo has temporarily closed its gorilla exhibit after a special zoo response team shot and killed a 17-year-old gorilla that grabbed and dragged a 4-year-old boy who fell into a moat. Authorities said the child, who has not been identified, fell 10 to 12 feet. He was taken to Cincinnati Children's Hospital Medical Center where he is expected to recover. Hospital officials said they couldn't release any information on him. ABC News has obtained new video of the young boy who crawled into the gorilla enclosure at the Cincinnati Zoo. Witness Kim O'Connor shared video she and her family recorded with WLWT-TV of the boy and Harambe. The two appear in a corner of the exhibit while a voice yells "Somebody call the zoo!" and "Mommy's right here." Later, the two are shown in the moat. At one point, Harambe touches the boy's back and arms. A woman's voice is heard saying "Be calm, be calm." The station reports more graphic parts of the video not shown include Harambe dragging the boy.